Triangle UXPA - [UX Book Club] Durham Book Discussion of "Mobile First"
[UX Book Club] Durham Book Discussion of "Mobile First"
Register for the meetup here: http://ow.ly/b4mjz. This will be the Durham-based meetup for the discussion of Moblie First. There is also be a non-overlapping session hosted in Raleigh one week later. 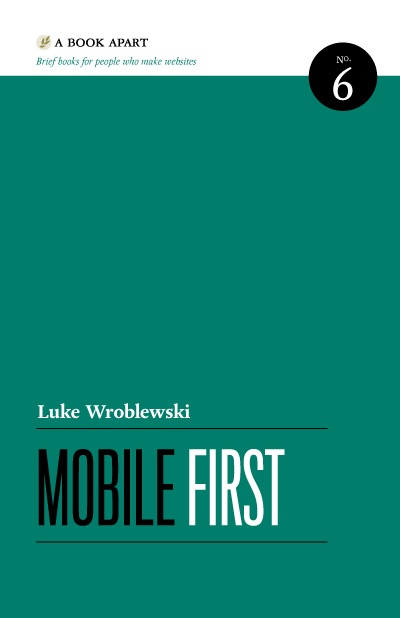 On June 21st at 6pm we will be meeting to discuss Mobile First by Luke Wroblewski at Viget Labs. In the meantime, feel free to head to the discussion tab here to ask questions about the book or suggest a time or location for the meetup! Parking available in parking deck on the corner of Chapell Hill St and Mangum.